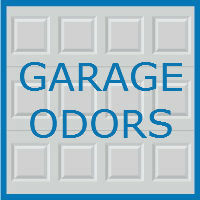 Musty smells can make your garage an unpleasant place to be. 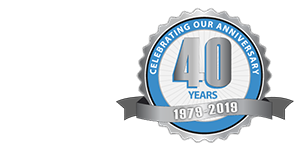 Because it acts as a home to grease, oils, yard supplies and other chemicals it is inevitable that your garage will develop a stench over time. Even after removing these smelly items, your garage will hold its stink due to lack of ventilation. Follow the steps below to remove the stench for good and make your garage an enjoyable place for your whole family. It is impossible to get rid of all the smelly oils and chemicals in your garage, so the important thing to do is limiting the area they cover. Keep all of your odorous items in one place, ideally in a sealed cupboard or shelf. Make sure all the items are sealed. It also helps to store an open box of baking soda alongside them to help combat the smells. The garage floor is where most of your garage’s smell comes from. For this reason you must thoroughly clean your floor with a solution of bleach and water. Use a broom and brush vigorously. Be sure to target any specific stains and neutralize the odor with coffee grounds or kitty litter. Another way to combat a smelly floor is sealing your concrete. You have the option of painting it with quality sealer or using garage quality epoxy coating. These will also add a more finished look to your garage floor. Cold air also plays a factor in the musty odor of a garage. It helps to have insulated walls and an insulated garage door to keep out the smelly outside air. Once you have your garage cleaned up and odor-free, make sure to take some measures to make sure it stays smelling pleasant for a while. Scatter mothballs around the mustier parts of your garage. Also be sure to leave your garage door opened for a few hours each week to cycle in some fresh air.